This week, for me was very hectic... Why? Because it was my first week starting college! It was mainly hectic because of cost of textbooks, figuring out how to get them for cheap and getting accustomed to the very diverse and cultured school that I go to. By the way... This is all mixed with my bad time management (which is a working progress). I may have started a new life, even so, I want everyone to know my style on-the-go. So here's my outfit of the week (a.k.a the outfit I enjoyed wearing the most this week). I chose a Friday. Friday's weather was beautiful; with the perfect amount of sun. I wanted to go for a more natural look, natural as in no makeup and jewelry. 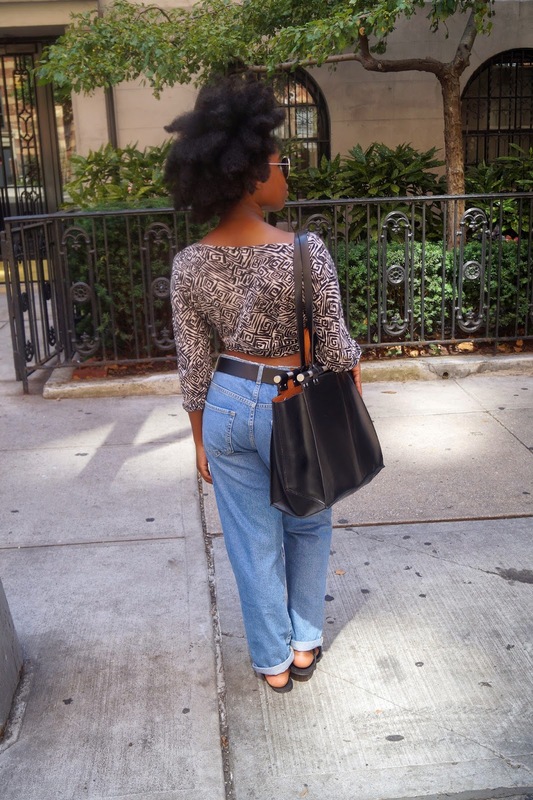 I wore my new favorite mom jeans I purchased from Zara. 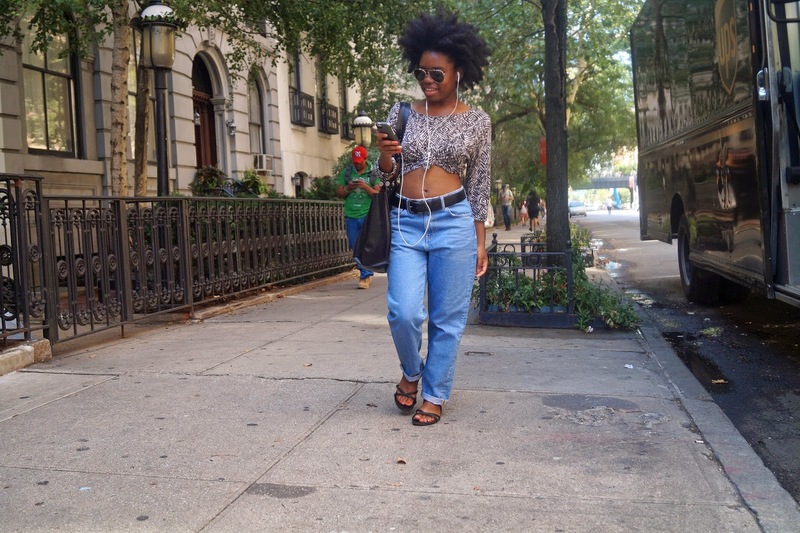 I paired those jeans with an old patterned shirt I purchased from Forever21 years ago and I proceeded to tie a 90s knot to make it a crop top. 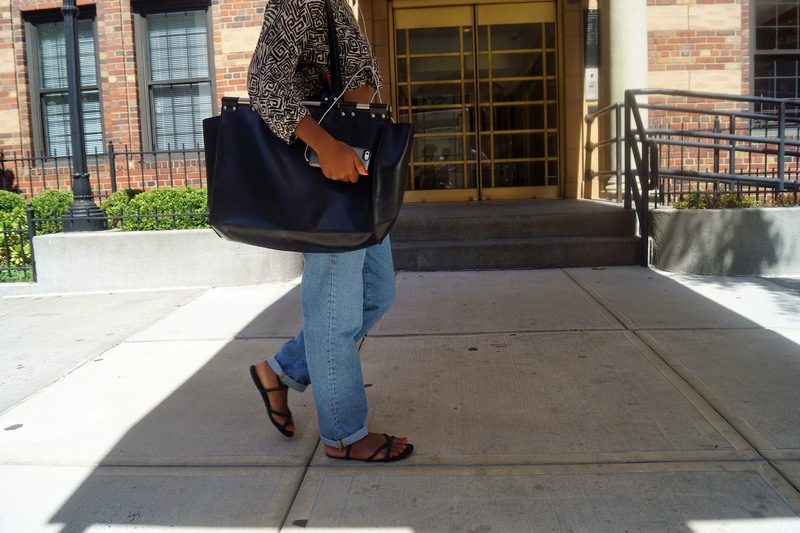 On my feet are just my favorite H&M sandals. I LOVE my school bag! It's perfect if you're a person who usually carry a load of things in your bag on a daily basis. I purchased mine at Zara. Click Here to purchase.